Helping investors pursue their goals and dreams has been a focus of Jack for the last 37 years. He has joined the Alpha Wealth Management and Planning team to help bring his experience to the next generation of advisors, who share his belief that the client’s interest will always come first. Jack is a native of Santa Rosa, married to his soulmate Yvonne for 33 years, and recently moved to a vineyard property in Forestville to experience another lifelong passion, the growing of premium Russian River Valley pinot noir. Jack also enjoys traveling, golf, and spending time with his three granddaughters, but as his clients know, he is always there to help them with their financial needs. 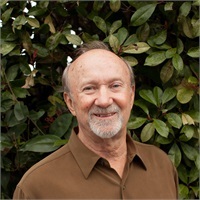 Jack has served on many boards over the years, including serving as Treasurer of the Santa Rosa Symphony during the early planning and fund raising for the Green Music Center at Sonoma State University. He has been a long-time supporter of Sutter VNA & Hospice and has personally raised over $100,000 as a participant in the Sonoma County Human Race.